Tra'Shelle Brown performs under the name DJ Bombshell. Few performers in the Louisville hip hop scene would call themselves “activists,” but it’s difficult to deny the spirit of advocacy that permeates. For Issue 07 of Here Magazine, we spoke with three organizers and artists who share a more explicit connection to social activism by identifying problems in their community and working to solve them through hip hop. Jecorey Arthur counts fellow Parkland native Muhammad Ali as one of his greatest inspirations. "Ali used boxing to have a louder voice, to have a bigger stage, to do the work I believe he was more passionate about," he says. "I have hip hop, he had boxing." Tra'Shelle Brown, who performs as DJ Bombshell, is exceptionally proud to call West Louisville her home. "It's always been my goal to give back to my community," she says. Save for a quick hello, this is the first thing DJ Bombshell says to me when she sits down at our table in Waterfront Park. 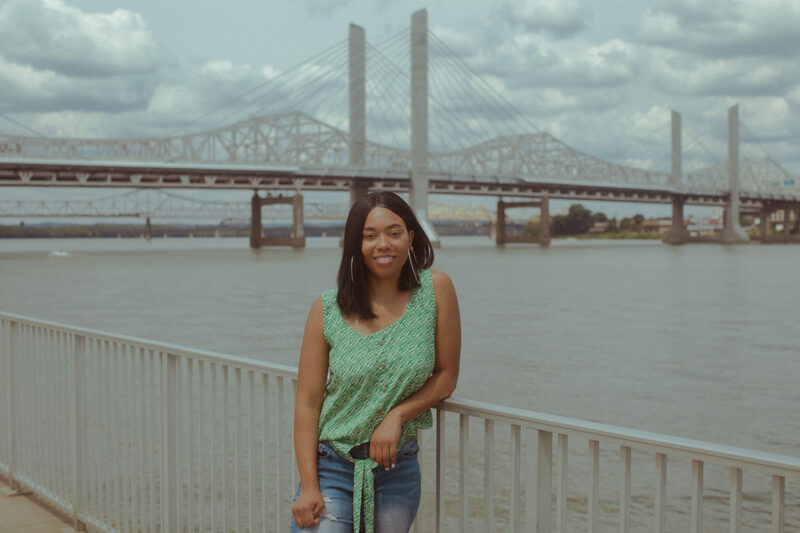 Born Tra’Shelle Brown, the West Louisville native was raised by what she calls “the beautiful struggle,” where socioeconomic disparity helped shape a strong community of innovators and creators. “I am a product of the West End, but I’m also a person who is ambitious and is trying to create things. I want to debunk these stereotypes,” she says. In particular, Brown has an interest in uplifting young women artists and thinkers from West Louisville. Her iHeartMedia show on 93.1, “WCW” (Women Crush Wednesday), features her favorite female songstresses and rappers in a standard mix show format—inspired by the satellite radio she used to listen to as a kid. The other six days a week, when she’s not playing gigs around town, working her second job at Ford Motor Company, or taking care of her six-year-old son, Brown will perform for groups that align with her politics, such as GLOW (Girls League of the West), which “focuses on feminism and Afrocentrism,” and Girls Rock, a music summer camp where girls learn an instrument and perform at a showcase. 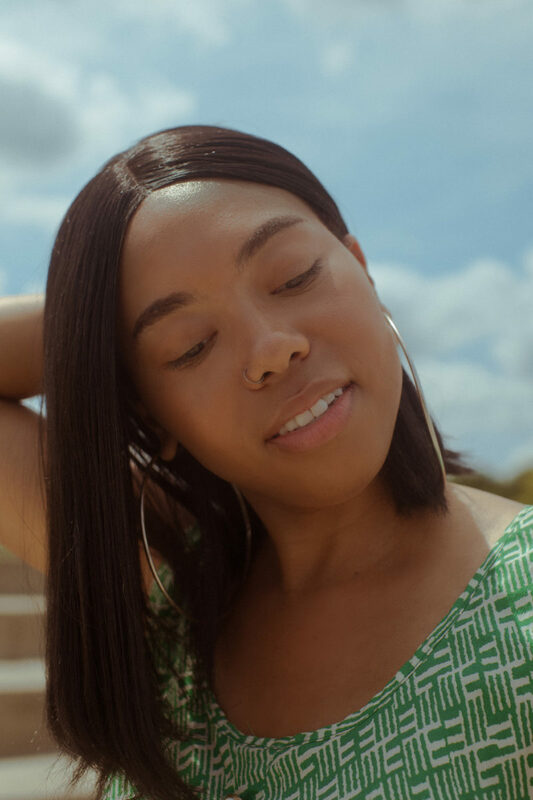 Though Brown has worked hard to get her DJ career to where it is now, she credits other artists with helping to get her name out—in particular, rapper Sasha Richmond (who performs as Sasha Renee). The two women are in agreement that the hip hop community could be working harder to include and uplift more female voices. “I make it my business to know all the female artists in the scene doing their thing, because with my platform, I wanna make sure it stays diverse. I have to be inclusive,” Richmond Asserts. Tay Gunsauley spent a summer in the South Bronx with antiestablishment hip hop collective Rebel Diaz. "I used to say ‘conscious rapper’ a lot, and thought about people as ‘conscious’ or ‘not conscious’—but [Rebel Diaz] taught me that everybody is conscious—just because someone can’t speak to the neofascist system or the capitalist structures doesn’t mean they’re not conscious of the issues that they’re going through." 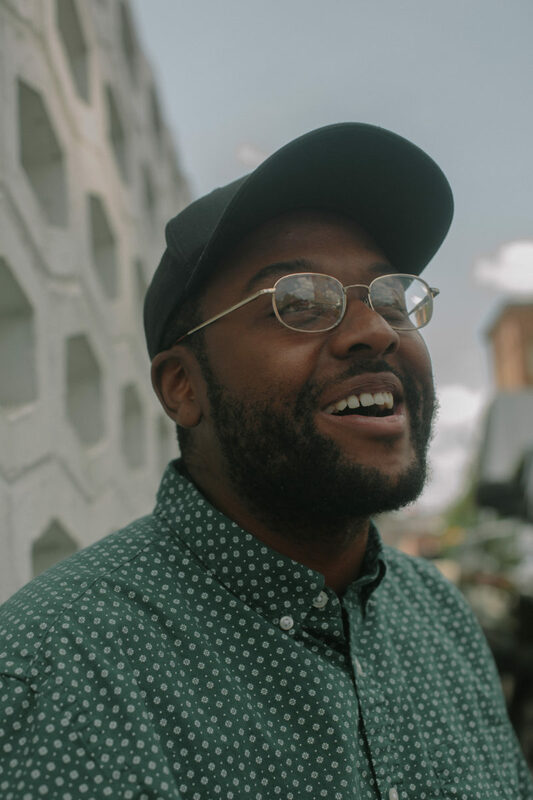 Before starting work on LouiEvolve, Dave Christopher moved to Louisville from Gary, Indiana, and started working at an organization that his dad founded called Amped. "It's a really dope program in the city that uses hip hop to teach kids all different types of things," he says. Tay Gunsauley is an ex-gymnast with a speaking voice that almost purrs and a tendency to finish most of his thoughts with a compulsive “you know what I’m sayin’?” He’s a 20-something Deadhead who grew up on a dairy farm in northern Kentucky and moved to Louisville for school, where he changed his major from finance to philosophy and became an anticapitalist. 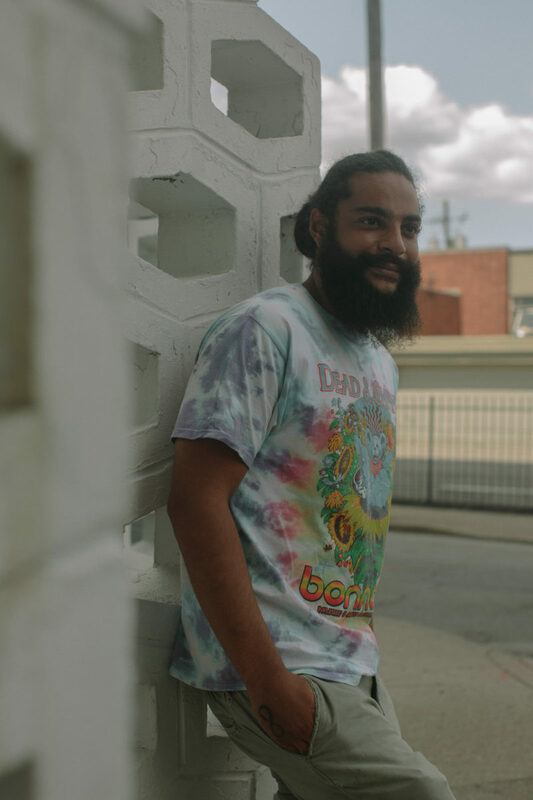 A summer spent in the South Bronx taught Gunsauley about the kind of community he wanted to foster at home: a vast artist network with community-wide support and engagement. 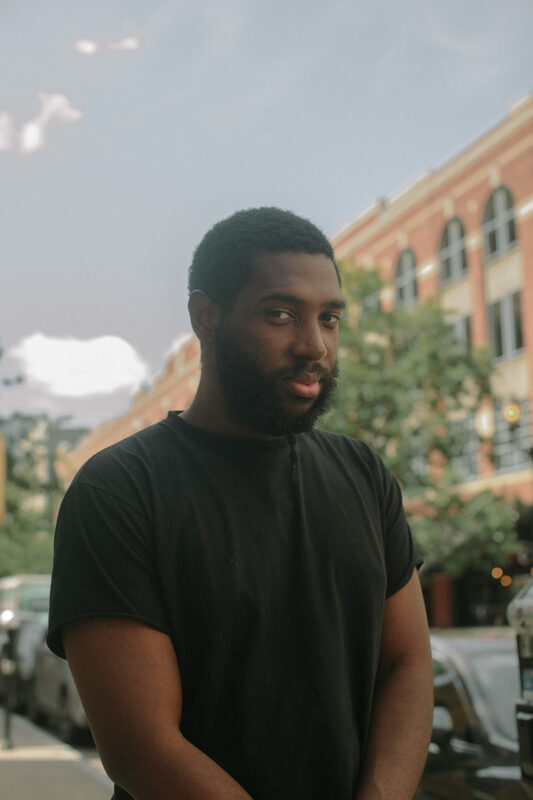 Back in Louisville, he connected with Dave Christopher, a rapper and fellow activist, to create LouiEvolve, an annual music festival and hip hop co-op. The festival, which has quadrupled in size since it began in 2016, is a product of wanting to uplift community voices. Before the festival’s inception, the founders sat down with their neighbors for a roundtable discussion to determine what people actually wanted to see from the city’s hip hop scene. “People were wanting an event that showcased all the talent around the whole city, so we immediately got to work on that,” Gunsauley says. Click here for our deep dive on the Louisville hip hop scene at large.